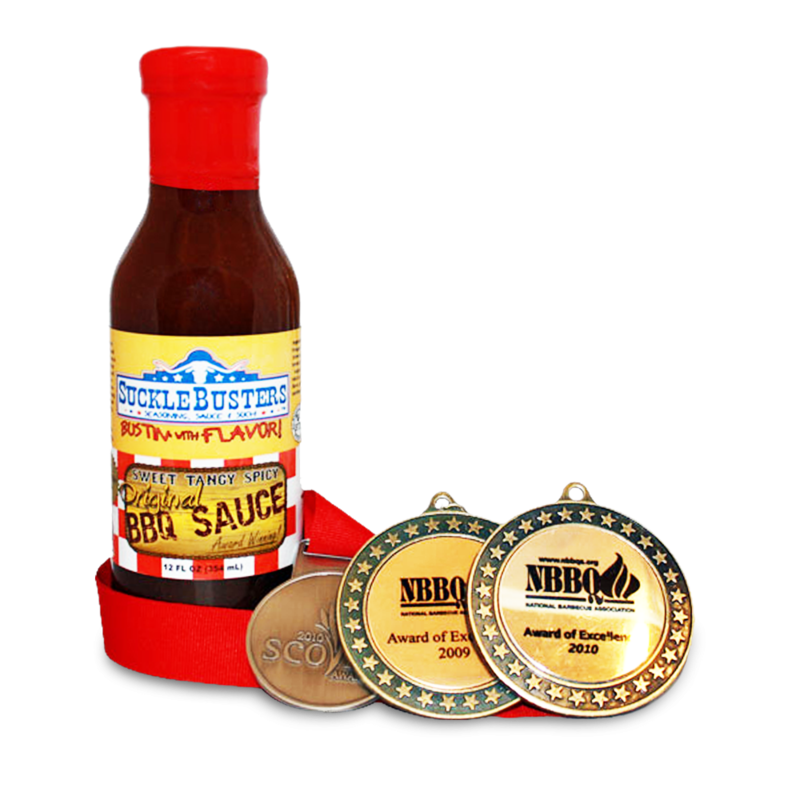 Sucklebusters is an all-natural, vinegar based BBQ sauce that is tangy, spicy, and sweet all in one. This BBQ sauce has a very light smoke flavor with a little pop of heat. You can also use Sucklebusters BBQ sauce as an all-purpose BBQ sauce. This BBQ sauce can be used for grilling or smoking. Sucklebusters BBQ sauce can be used on beef, briskets, steaks, ribs, chicken, sausage, pork, seafood, turkey or turn your sandwich into a masterpiece by adding this BBQ sauce. Anything grilled goes great with this southern barbecue sauce. Baste it on during the last few minutes of grilling or smoking to create a sticky sweet layer of BBQ flavor, or slather it on just before serving your BBQ. Sucklebusters sauce makes a great dipping sauce too, kids love it. Treat yourself to the best all-natural BBQ sauce in Texas, your tastebuds deserve it.